Hearts are looking to reach a cup semi-final for the first time in more than four years when they welcome Motherwell to Tynecastle for the Betfred Cup quarter-final. Steven Naismith netted the only goal the last time Hearts and Motherwell met. The last time the Gorgie side reached the last four of a competition they faced Inverness Caledonian Thistle at Easter Road in the League Cup in season 2013-2014 which ended in relegation for the Jambos following their point deduction for entering administration. It was to be a day to forget as Gary Locke's men lost on penalties to nine-man Inverness. The year previously, Hearts lost the League Cup final at Hampden Park to St Mirren. It was the last time the team played at Mount Florida and fans are yearning for a return to the national stadium. Standing in their way are a robust and formidable Motherwell side who reached the final of both cup competitions last season. And it appears Hearts may have to overcome the Steelmen without key striker Uche Ikpeazu. The 23-year-old is a major doubt following a foot injury he picked up in the club's recent 1-0 win at Fir Park. Ikpeazu won a 50-50 challenge with Motherwell goalkeeper Trevor Carson which led to the winning goal from Steven Naismith. Carson, who had a suspected broken ankle, recovered to face Aberdeen at the weekend. “I’m not sure if Uche is going to make it. We might be leaning more towards Saturday for him,” admitted Hearts boss Craig Levein. Despite playing the majority of the match, the striker missed Saturday's frustrating 0-0 draw with Livingston which led to a dressing room altercation with the fans' frustration also being felt by the players. READ MORE: Quiz: Can you identify the Hearts player from their Fifa avatar? There will be at least one change to the side from the weekend with Craig Wighton cup-tied having already played in the competition for Dundee, while new signing Sean Clare is unlikely to feature with the player needing more time to get match ready. There is good news in that Aaron Hughes has returned from a calf problem and Marcus Godinho has returned to first-team training following a bad knee injury but the Canadian won't be included in the squad. Levein played one in attack in the win over Motherwell in the league earlier in the month. If Uche fails to make the game it could see Steven Naismith lead the line on his own, or play from wide, supporting Steven MacLean. If so, it will see a three-man midfield, such a scenario helped Hearts succeed at Fir Park. Motherwell won't come to Tynecastle looking to keep possession and play 'nice' football. One of the more robust teams in the league, manager Stephen Robinson want his side to be more direct. He said: "In the last lot of games we have had a lot of possession of the ball, a lot more possession than we did last season. But possession doesn't win you football matches. "So we need to get back to putting the ball into areas where teams don't want to play in, don't want to defend in. That's the small percentages that win you football matches." A big part of that game plan will revolve around Curtis Main who, like captain Peter Hartley, faces a late fitness. Main missed the weekend's defeat to Aberdeen but will likely replace Conor Sammon who is unavailable to face his parent club. Motherwell are also without combative midfielder Andy Rose. Hearts - Uche Ikpeazu is a major doubt with a foot injury, Craig Wighton is cup-tied, while Sean Clare and Marcus Godinho are still building fitness. Christophe Berra and Jamie Brandon are longer term injuries but Aaron Hughes returns. Motherwell - Striker Curtis Main and defender Peter Hartley face late fitness tests but midfield duo Andy Rose and Alex Rodriguez Gorrin are definitely out through minor injuries. Conor Sammon misses the game against his parent club. Charles Dunne (groin) remains on the sidelines while Craig Tanner is undergoing more surgery to correct his long-term knee injury. 2005 - The last time the two sides face each other in the League Cup was back in January '05. The teams met at Easter Road for a place in the CIS Insurance Cup final. Motherwell took a two-goal lead but substitutes Mark Burchill and Hjalmar Thorarinsson scored for Hearts in the final five minutes to take the game to extra-time. The memorable, or not so memorable for Hearts fans, match was won by the Steelmen in extra-time when Marc Fitzpatrick fired in a late winner in extra-time. 'Battle' is an appropriate word. That's what it will likely be on a tight Tynecastle pitch with it likely to be a windy night. 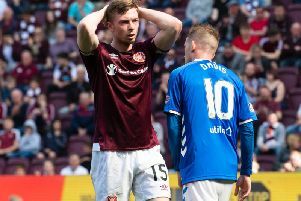 In the previous meeting between the sides John Souttar dominated Curtis Main with a captain's performance. It firmly cemented the progress Souttar has made as a centre-back. Motherwell will be direct once more and if the Scotland international can once again get the better of the Motherwell striker it will give Hearts a platform to dominate and get the win which secures a semi-final spot. Both Hearts and Motherwell are seen as 'big, physical teams'. That may well be true but surprisingly the two teams lead the way for fouls suffered in the league so far this season. No team have been awarded more free-kicks than Hearts' 91 with the Steelmen in second place with 87. There is a caveat, however. Motherwell have committed the most fouls (98) with Hearts not far behind with 91. So, expect a lot of free-kicks. Willie Collum will oversee the game at Tyencastle. It will be his 49th game in charge of a fixture involving Hearts and if he were to book three players from the home side it will take his yellow cards tally to 100 for those wearing maroon. No team has received more yellow cards from Collum. However, with ten penalties awarded to the Tynecastle side, only Celtic and Rangers have had more. 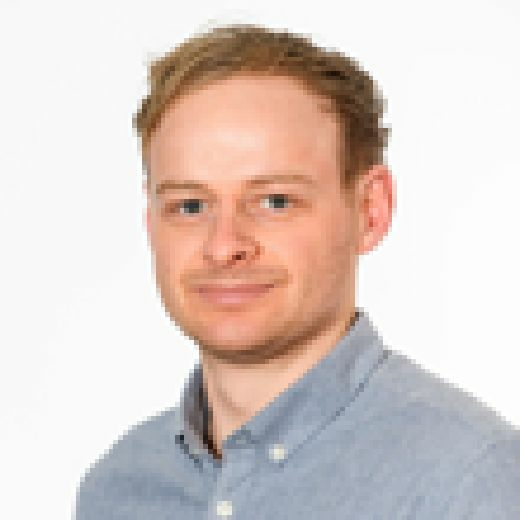 He been in charge of two Hearts games this season, the 5-0 win over Inverness CT earlier in the competition and the controversial 1-0 success at Kilmarnock where he showed the home side's Gary Dicker a straight red card for a challenge on Callumn Morrison. Hearts (4-1-4-1): Zlamal: Smith, Souttar, Dunne, Garuccio; Morrison, Haring, Djoum, Lee, Mitchell; Naismith. Subs from: Doyle, Hughes, Dikamona, Bozanic, McDonald, Mulraney, Cochrane, MacLean, Ikpeazu. Motherwell (3-5-2): Carson; Aldred, McHugh, Hartley; Cadden, Grimshaw, Bigirimana, Campbell, Tait; Main, Johnson. Subs from: Donnelly, Gillespie, Taylor-Sinclair, Frear, Bigirimana, Bowman, Turnbull, Maguire, Scott, Gillespie.